The activities of Danish power psych rockers Gas Giant have been well documented by Scott Heller in the pages of Aural Innovations, and I'm going to throw in my two cents with regards to their new CD, Mana. The current lineup of the band consists of Tommy on drums, Thomas on bass, Stefan on guitar, Jesper on vocals and Scott as guest on synthesizer. The album opens with "There's One", which features rousing heavy-psych guitar with dirty acid-garage licks and a simply amazing bass sound that you'll feel pounding the back of your throat. A knock out blend of 70's heavy rock and contemporary Stoner psychedelia. Gas Giant do an excellent job of blowing your face out and melting your brain while retaining a sense of melody and song. "Moonshake" keeps the pace going hard and heavy with grinding, totally stoned, acidic power rock. Jesper is a passionate singer and his vocals are especially powerful on this song. Scott's batch of live Gas Giant reviews this issue mention "Back On The Headless" being played every night on the tour, and it's a killer tune, with fantastic playing from all band members and completely freaked out jams that back the song. I love it when bands manage to combine freeform power jamming with well structured songs. "Phantom Tanker" and "New Day Rising" both achieve similar results, being excellent songs with brain frying space jams. About halfway through the album the band lighten the pace briefly with the title track, which is an unplugged Bluesy boogie-woogie acoustic rocker. Among my favorite songs on the album is "Orange Fender", one of the dirtiest garage-punk-psych-metal rockers of the set. It'll get you headbanging and then split your brain. A totally ripping track! "Dragon's Cave" includes some of the most intricate interplay between the musicians along with imaginative thematic development and plenty of mindfucked blazing Stoner psychedelia. "Green Valley" begins as a soulful Blues-psych rocker, but at nearly 8 minutes it takes plenty of time to stretch out and explore the spaaaaaaaaaaaaace cosmos. And finally, "Safe Haven" closes the set with 12 minutes of floating spaced out psychedelia with an experimental edge. No real song here... just gorgeous bubbling liquid guitars and astral alien efx. Love it! 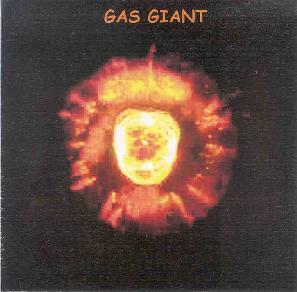 In summary, Gas Giant are an intensely powerful band that successfully blend the excitement of heavy rock's pioneering 60's/70's days with the best of the new millennium crop of Stoner-psychedelic bands. For more information you can visit the Gas Giant web site at: http://www.gasgiant.dk. Mana is distributed by Elektrohasch Records. You can visit their web site at: http://www.elektrohasch.de.